A man has been arrested after punching a female MP from President Emmanuel Macron's party in the head in a southern Paris suburb. Laurianne Rossi, 33, was confronted by the man as she distributed leaflets in Bagneux market. He expressed anger at Macron government policy before punching her in the right temple, Ms Rossi told local media. It is the second attack on a female French politician in a public place in recent months. In the latest attack, the man, in his 50s, was quickly overpowered by activists and market stallholders. Ms Rossi told Le Parisien newspaper she had been left "stunned and a bit shocked". "This man was clearly hostile to government and majority policy. He was speaking vehemently but was not immediately aggressive," she said. The man described the MPs of Mr Macron's La République en Marche (LREM) party as "yes men" and accused the media of giving the party favourable coverage. "I began to respond but did not have time to finish as he punched me hard in the right temple and ran off," Ms Rossi said. The incident "showed a sense of exasperation on the part of citizens", Ms Rossi told BFMTV. She later tweeted that "no political disagreement can justify violence, even less so when it is against MPs and women". Prime Minister Edouard Philippe condemned the "cowardly attack". 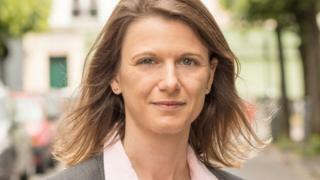 In June, then MP Nathalie Kosciusko-Morizet from the centre-right Republicans party was knocked unconscious in a Paris market when a man pushed leaflets in her face and she fell and hit the ground. The man reportedly called Ms Kosciusko-Morizet a "crappy bobo" - a derogatory term for an urban hipster.